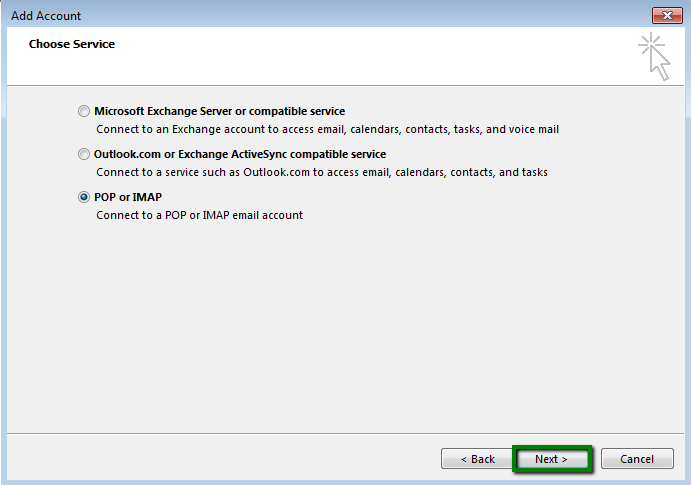 Email clients, like Outlook, allow you to easily check your emails not going to web-interface. 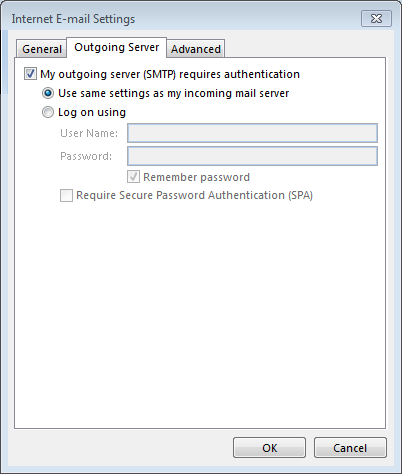 This tutorial will help you to configure your Private Email account in Microsoft Outlook 2013. 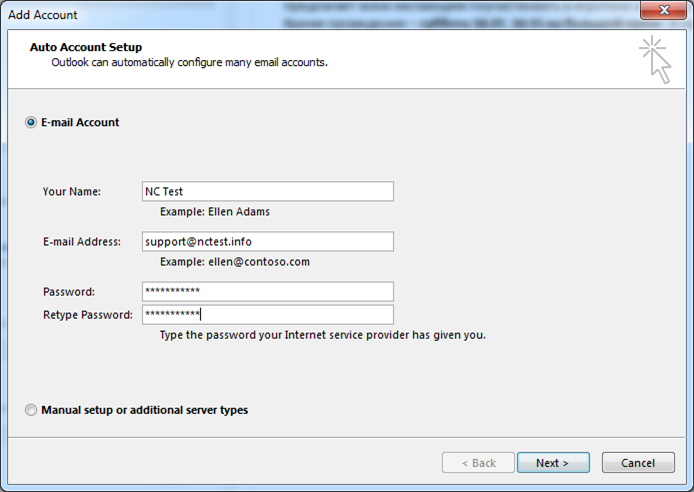 Private Email service supports autodiscover feature which allows to set up email account automatically in Outlook. 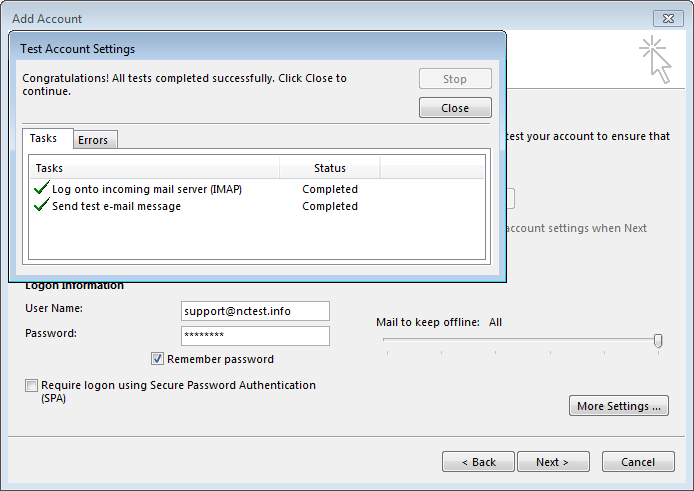 NOTE: before setting up email account this way, make sure you already have required DNS records and mailbox created. Make sure you do not have blank spaces in it. NOTE: if any warnings appear, disregard them and feel free to proceed. 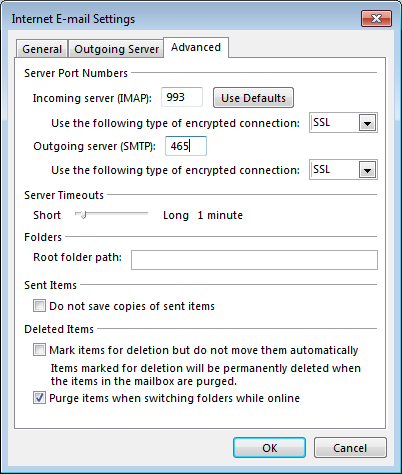 If this option fails for some reason, try to follow the steps from scratch. 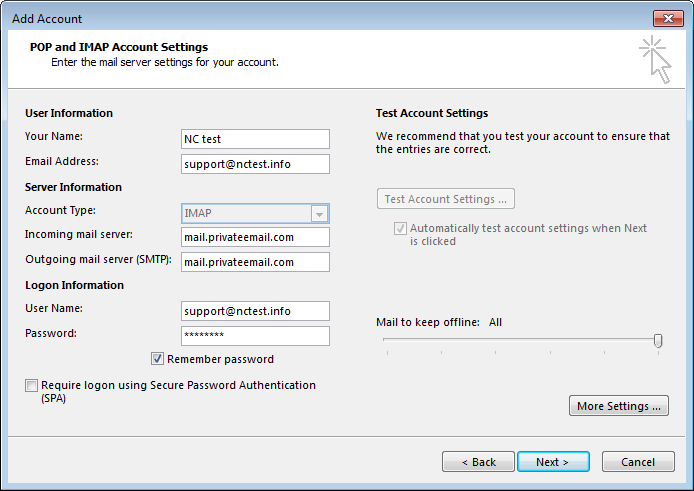 If it does not help you can also try to set up email account manually. 4. 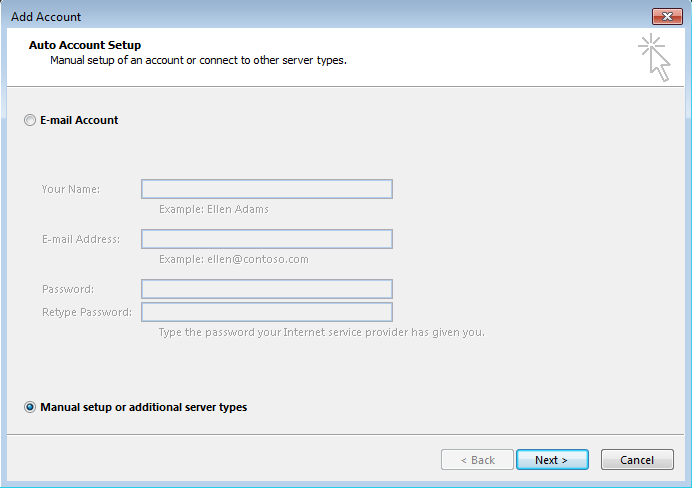 Once done, click on More settings in the lower right corner of the window.